• Audio Commentary features Bruce Block. • The Key to The Apartment (1080p; 10:12) features film critic Philip Kemp offering some insight into what he thinks makes the film "click". • Selected Scene Commentary features Kemp again analyzing a couple of scenes from the film. • The Flawed Couple (1080p; 20:24) is a video essay by David Cairns which looks at the collaborations between Billy Wilder and Jack Lemmon. • An Informal Conversation with Billy Wilder (1080i; 23:17) is an archival supplement stemming from the Writers Guild Foundation Oral Histories series. 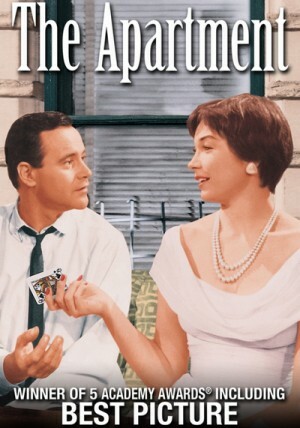 -- Inside The Apartment (480i; 29:36) is an enjoyable reminiscence featuring some good interviews with a number of folks ranging from Shirley MacLaine to Robert Osborne. -- Magic Time: The Art of Jack Lemmon (480i; 12:47) is a sweet homage to Lemmon with interviews with his son, Chris. • Commentary with Film Historian Bruce Block: Block occasionally falls into the habit of repeating what's happening onscreen--as if we can't see it--but otherwise, this is a great commentary track, filled with informative making-of stories, cast anecdotes, and bits of trivia. 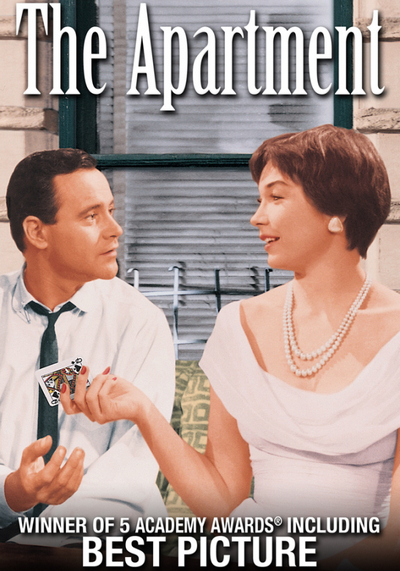 • Inside The Apartment (29:36): A wonderful half-hour special that puts The Apartment in the context of history and Billy Wilder's career. Includes interviews with Shirley MacLaine, Chris Lemmon--Jack Lemmon's son--and a number of film historians. • Magic Time - The Art of Jack Lemmon (12:47): Chris Lemmon discusses the life and career of his inimitable father.